Obsolete/deleted set at the author's request. A maritime collection of objects (eye-candy), including harbour infrastructure (moles, breakwaters, piers, docks, fake ships, harbour buildings, loading appliances, etc), means of traffic control (lighthouses, buoys, radar control towers) and natural maritime objects like rocks, reefs, bars, steep coasts, icebergs, etc. pp. Replaces passenger production in oil rigs by eels, which are accepted by farms in temperate climate, and food processing plants in arctic and tropical climates. Eels are transportable by hovercraft. 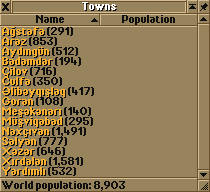 Complete set of Kazakhstan Repablic town\city names (7000+). Based on public information published by Statistics Committee Ministry of the National Economy of the Republic of Kazakhstan. Include Cyrillic, Latin, Native cyrillic records. Not Enough Subways is a set of American cities subway cars, which contains New York, Chicago, Boston and other big city subway vehicles.Also it contains some other speed systems, like PATH. This a newGRF that adds 4th rail 3rd rail and edits normal and electrified rail. A variety of new ship models. 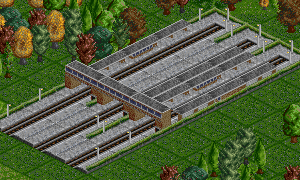 New train stations: signal-towers, various platforms, station halls, small and medium station buildings, sheds and warehouses for freight stations, locomotive sheds for maintenance, plus a variety of "non-track" tiles. Korean Trains including KTX, KTX-Sancheon, ITX-Cheongchun, Nuriro, Saemaeul, Mugunghwa, Tongil, CDC, NDC, Seoul subways(metro/underground), Incheon, Daegu, Busan metro and electric/diesel locomotives of Korail. Korean Buses of Seoul and Gyeonggi-do. It add eight buses: Green, Blue, Red, Yellow buses of Seoul and G-buses of Gyeonggi-do. Industry set based on FIRS 1.4.3 and SPI 1.1 sets. 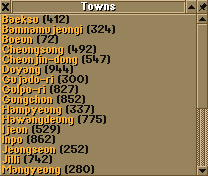 Korean (real/virtual) town names written in Korean or English. 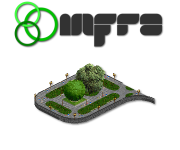 INFRA Green are a collection of custom parkways and plant objects for use with TTDP and OTTD, further more designed to fit any climate zone and coded to fit an appropriate tile, (i.e flat tile objects, slope tile objects, and so on, as well as water tiles...). 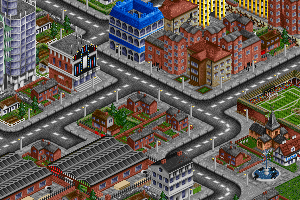 INFRA Streets are a collection of custom lights, signs, gantries, and more for use with TTDP and OTTD, further more designed to fit any climate zone and coded to fit an appropriate tile, (i.e flat tile objects, slope tile objects, and so on...). 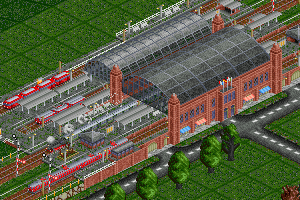 Replaces the default tram depot with a brick one inspired by the original TTD train depot. All art by Born_Acorn. A collection of about 2000 German town names, available as four regional sets as well as the complete thing. 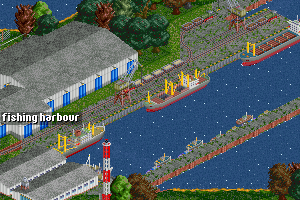 Replacement for the default docks, featuring parked containers and static cranes. Airport and landscape transmitter with flashing lights, for cellular and other wireless communications. From TTD Urban Renewal. 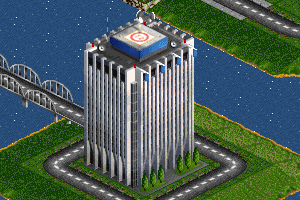 Replacement for the final company headquarters, with heliport, flags and antennas at the top. From TTD Urban Renewal. This set will replace all the game fonts with the Tahoma font. It does not replace the newspaper font. Replacement for the default heliport, features semi-transparent landing platform. Part of ProjectNSW. 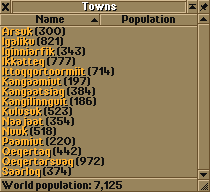 A GRF which adds town names consistent with those found in New South Wales, Australia. The German Road Vehicle Set is (as the name implies) a vehicle set for Transport Tycoon Deluxe. It includes a variety of busses, trams and trucks from 1921 to the present and is also compatible to the Extended Cargo Scheme currently being developed. A set of Canadian Town Names, Coast to Coast and 4 regional/provincial subsets as well as Malamute Madness. Since v0.2 with snow covered tunnels. Provides new road infrastructure graphics based on the road design used in The United States of America. 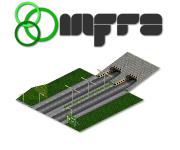 Replaces all road tiles, including bridges, tunnels, level crossings, and more. Designed to work with OpenGFX, including support for OpenGFX+ Landscape. River boats, lake ships and coasters in a range of attractive sizes. Features lickable pixels in two company colours. 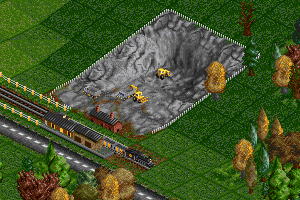 I like big trucks and I thought it would be nice to have some for OpenTTD, so I created the Heavy Equipment Set (HEQS). Also features tractors, bulldozers, industrial trams and other heavy vehicles. This Newobjects set adds various objects to enhance the OTTD experience. 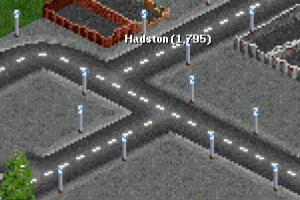 INFRA Roads are a collection of custom streetlights, street signs, street gantries, and more for use with TTDLX, (TTDP and OTTD). This is the first official release of a genuine INFRA New Objects file, all of them - once released - combined into an enhanced gameplay experience. INFRA Roads are designed to be used with any other custom terrain you may use in your own personal game setup, and each item included is coded to fit the approriate tile, (i.e flat object on flat tile, sloped object on slopes, and so on...). Although this version of INFRA Roads has been tested thoroughly, there could still be a chance some problems have managed to find their way inside. If so, don't hesitate to report this in order for an update to be issued! 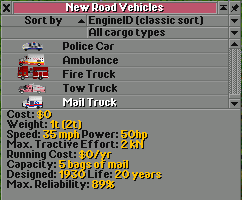 Features the following road vehicles: fire engine, ambulance, police car, tow truck, mail truck, garbage trucks, and horse & rider. They are purely eyecandy, that is they are not intended to be practical cargo-carriers, but have virtually no capacity and 0 purchase and running cost. 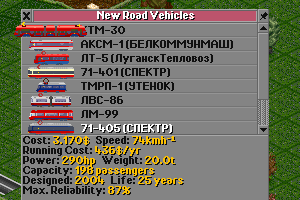 Compatible with TownCars AI (for OTTD). Includes refit options to enable/disable sirens, a parameter to enable/disable for AI-built vehicles, and parameters to enable/disable each vehicle individually. Available from BaNaNaS; see included readme and/or discussion topic for more complete information. 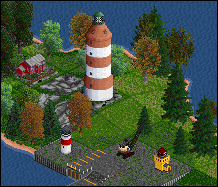 The Lighthouse Set is an object set eyecandy-set) for openTTD. The lighthouses are not exact copies of real life lighthouses, but they are drawn with more or less inspiration from the real lighthouses primarily in the Nordic countries. 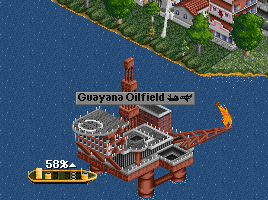 The Lighthouse Set has no other function than being an eyecandy in openTTD. The Lighthouse Set contains by now 14 lighthouses, with either rock/grass or ISR (concrete)-basetile. This Fake Subway Road Vehicles GRF provides articulated "road" vehicles that are intended to mimic subway trains running beneath the road surfaces. They show up on the map as "shadows", to give the appearance of being underground. For more detailed information, visit the forum discussion thread linked below. Lifted tracks only show ballast and can be used to keep your old and disused rail lines visible in the landscape. The planning tracks allow plotting new rail lines. 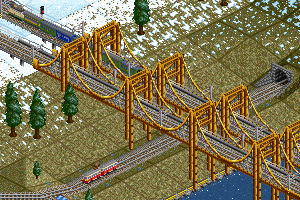 Both railtypes do not allow vehicles. 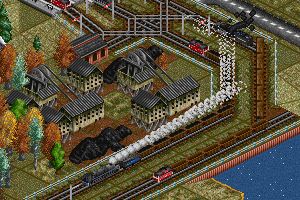 Requires OpenTTD 1.2.0 (r23166). 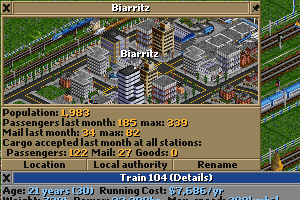 OpenTTD 1.3.0 (r24367) recommended. much actual vehicle properties as possible. allows refitting to all cargo types. to company colours (2CC), aimed at multiplayer games. 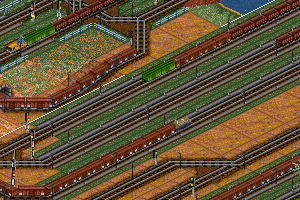 The Metro Track Set adds third rail tracks to OpenTTD. 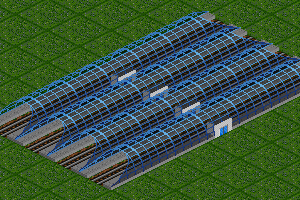 It can add Metro Tracks as a new railtype or at your option replace monorail or maglev with Metro Tracks instead. 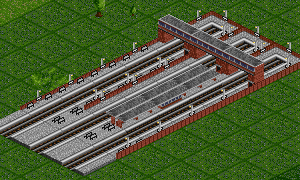 You should be able to use it in combination with any trainset providing metro vehicles. Three different railtypes are provided: regular metro, metro with catenary and "underground" tracks. 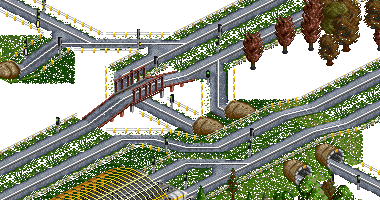 Waypoint styled after the tubular bridges, available in 2CC. Original code by Prof. Frink, graphics by MeusH. 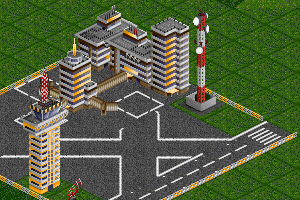 Waypoint featuring a gantry and small building in 2CC. Strobing street lights for cities. 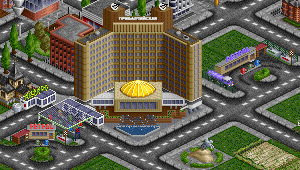 Created for the World-Wide OpenTTD Game Day of October 27, 2007. 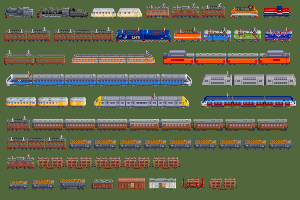 The Taster-set contains 28 vehicles, including steam, diesel and electric engines, multiple unit passenger trains and passenger/mail wagons spread nicely across all usage classes and years from 1920 to 2005 and beyond. 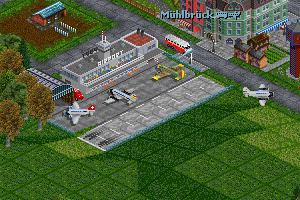 It is intended for the Temperate and Arctic climates of 'Transport Tycoon Deluxe' and the 'Patch'. Together with the Transport Tycoon Deluxe (Original) freight wagons it will be playable stand alone with TTDPatch alpha 57+. Graphics by Born Acorn, DanMacK, Fire87, Hovering Teacup, Kruz, OzTrans, Purno, Singaporekid and ThorRune, translations by The Person, coding by OzTrans. This set replaces most office buildings from the temperate climate. Includes the new transmitter and Citibank. Beta version 2. Re-coded by PaulC this new .grf consists of the foundation graphics previously included in the INFRA Landscape.grf - but without the Lighthouse and the Transmitter. Subway stations in the form of parks above ground. 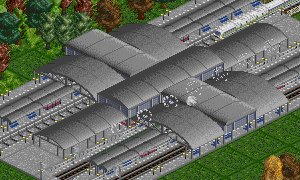 NOTE: This is the ORIGINAL Industrial Stations, and is superseded by Industrial Stations Renewal 0.8.1. This is being placed in GRFCrawler for historical purposes. This station set is a set of industrial-equipped stations, such as might be found at various different industries. 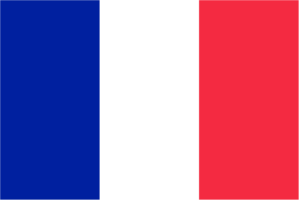 Although they mainly follow an American appearance, they would not be out of place in other countries. A new mosque building for temperate, sub-arctic and sub-tropical climates. 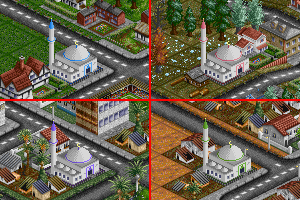 Comes in four colour variations with an option to disable the default churches. A set of 122 place names from the Faroe Islands. A set of 160 place names from S�pmi (Lapland) in the Northern Sami language. A set of 298 place names from Azerbaijan. A set of 76 place names from Malta. A set of 164 place names from Hawai'i. A set of 85 place names from Greenland. Three sets of place names from Belgium: choose from two regional subsets of either 313 Flemish place names or 253 Walloon place names, or a combined national set of 593 place names. New Tram Tracks is a tramway replacement set featuring grass embedded off road tracks and single-sided wire supports for the overhead wires. New Tram Tracks supports the Temperate, Sub-Arctic and Tropical climates, as well as the New Terrain and the Japanese Landscape Set. Additionally, the player can choose between two types of wire supports: the set's default single-sided wire supports or an alternative with slightly slimmer poles (not shown in screenshot). 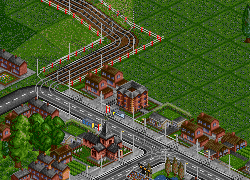 FooBar's Tram Tracks is a tramway replacement set featuring single-sided supports for overhead wires, slightly wider tracks and off-road tracks embedded in the grass (or in brown or gray ballast if you prefer). 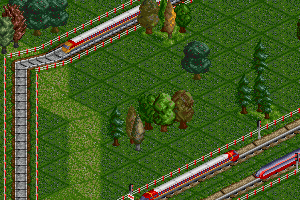 FooBar's Tram Tracks supports the Temperate, Sub-Arctic and Tropical climates of both the original TTD graphics and OpenGFX, as well as the New Terrain, the Japanese Landscape Set and OpenGFX+ Landscape. Additionally, the player can choose between two types of wire supports: the set's default single-sided wire supports with support poles as wide as streetlights or an alternative with slightly slimmer poles. To OpenGFX users these tram tracks may look familiar: the OpenGFX tram tracks are based on this very set. Now why would you use this if you use OpenGFX? Maybe because you want something else instead of the brown ballast. Or maybe because you want the slimmer poles. Your choice. TTDPatch: (nightly) version 2.6 alpha 0 r1651 or higher. av8 is a complete aircraft set for TTDPatch and OpenTTD. It features a full range of aeroplanes and helicopters from 1920 to the present, with futuristic vehicles up to 2050. Adds a hot air balloon as an air vehicle. 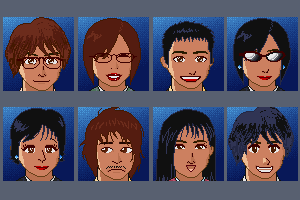 Sprites drawn by Zephyris; code and sound effect by Supercheese. 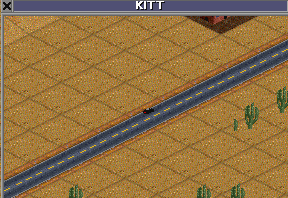 The Knight Industries Two Thousand(KITT) is an incredible vehicle capable of reaching high speeds! (320 km/h) Unfortunately it doesn't have turbo boost! ;) A better version will be released some day. A maglev track replacement that's simple and elegant with the goal to make them easier to see while placing the tracks. This NewGRF enables a town names set containing all Olympic host cities. This contains 20 Winter Olympic Host City names and 23 Summer Olympic Host City names, you can choose between just summer, just winter or both. 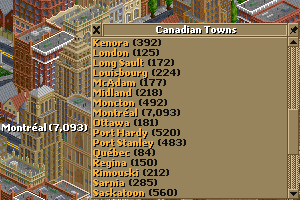 All towns are spelt in English. 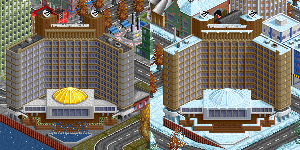 A recoding of the default buildings for arctic climate to make them properly snow-aware and compatible with variable snow lines. For TTDP and OTTD. 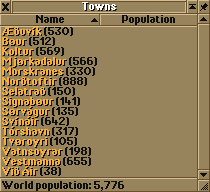 This NewGRF enables a town names set containing a list of various famous or familiar towns from all over the world. 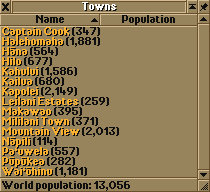 Allows up to 88 unique towns. 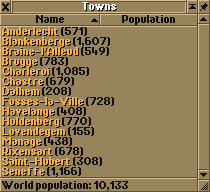 All towns are spelt in English. 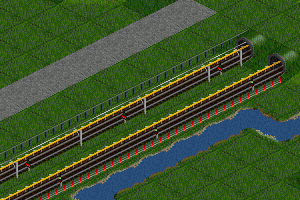 This NewGRF adds a Vacuum Tube railtype, and matching trains, to OpenTTD. The vacuum, combined with maglev technology, enables a frictionless environment in which trains are able to reach extremely high speeds. Coded in NML by Emperor Jake, track and tube graphics mainly by Zephyris, train graphics by Emperor Jake. Copyright 2011, released under GPLv3. This grf supplies alternative landscape sprites, most importantly to switch off the gridlines. It also supplies a few other eye candy goodies in the form of NewObjects. For those of us who like default bridges, speed upgrades for default suspension bridges and the girder "pothole" bridge are in order. Replaces the default transmitter with a rock, in games where the display of a transmitter is not appealing. The AlpineClimate is a combination of TTD's sub-arctic and temperate climates. Its key element being a variable snow line feature giving the impression of seasons. The AlpineClimate re-implements all TTD original temperate buildings, cargoes and industries including their original animations on basis of the mountainous arctic climate. 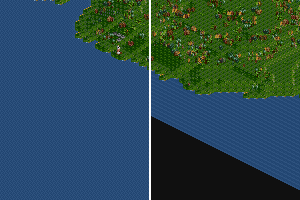 Provides graphics for "rivers" and "lakes". Adds refittability to DBXL coaches and freight wagons for FIRS cargoes. Adds refittability to DBXL coaches and freight wagons for ECS cargoes. This .grf adds Oil Rig from Temperate terrain to Sub-arctic and Sub-tropical terrains. It disables itself in Temperate and Toyland terrains. This grf provides up to 4.256 (!) 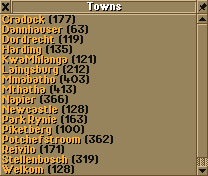 Dutch town names, large and small. 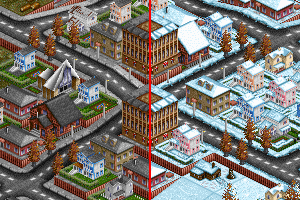 UK style houses, terraces, shops, flats, offices, churches, warehouses, and a couple of special buildings... Full temperate, sub-arctic and sub-tropical graphics (including snowy buildings) in OpenGFX style for seamless integration. Set the first parameter to 0 (ie. default) to disable all default houses except the parks and statues, set it to 1 to enable default houses. Should function fairly gracefully with other town building sets. Fully compatible with major industry sets. 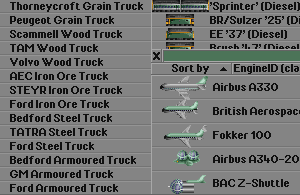 I have played quite a few games with external aircraft.grf's like AV8 or Planeset, but I really just wanted the default OpenTTD set, so I made them carry all cargoes, gave them good old TTOrig-like names and for commuter (small) airport - there are additionally the 727 and the enhanced Kelling K6. Also gradual loading is more balanced. Memorable aircraft and all helicopters were given a lasting availability (v2). Allows disabling certain aspects of default industries including disabling all economical aspects like opening/closure and production changes. 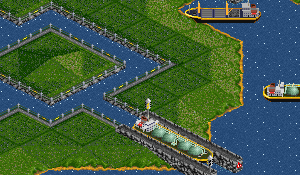 Using cheats one can then control industries manually without any random changes interfering. Not compatible with other industry sets. 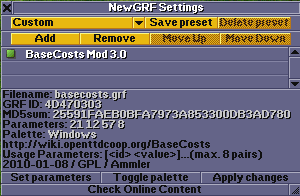 Note: Grf does not contain any new graphics, so it is not specific to DOS resp. WIN palette. 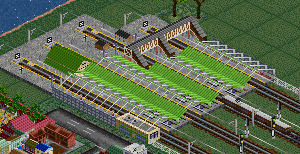 OpenGFX+ Trains extends and improves the default rolling stock by adding support for all cargo types and improving the graphical representation. A Trolleybus Set with trolleybus infrastructure and eleven different trolleybuses. The trolleybuses works like trams. They can just drive under overhead lines. 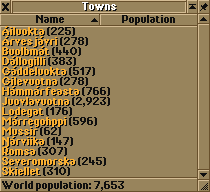 A grf containing 558 real Finnish town names. The TransRapid Track Set is a maglev track replacement set. The Transrapid system is a German high-speed monorail train system using magnetic levitation. The tracks in this set are based upon their real life equivalents at the test facility for the system in Emsland, Germany. The optional aircraft for av8, available in a seperate grf for use with the OTTD enginepool feature. light-rail vehicle for use on normal tracks. Includes broader tracks, new stops/depots and less poles. 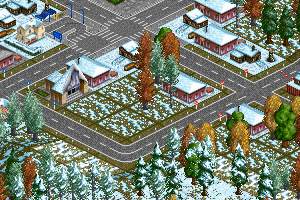 Swedish Houses is a town replacement set for TTDPatch and OpenTTD for temperate, arctic and tropic climates. The goal of this set is to replace all original TTD buildings and add extra ones with buildings found in Sweden. 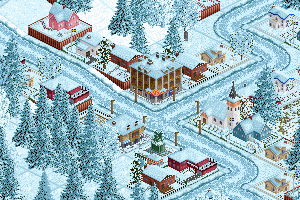 This set introduces a configurable snow line with seasonal variation. The snow line height for 1st December and June can be specified, values in between are interpolated. 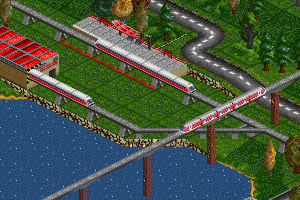 A set that adds new Monorail and Maglev trains to the game, designed to be used alongside other major train sets to add further play into the future. Drawn by Lawton27, Born Acorn, DanMacK and PikkaBird. "Coded by DJ Nekkid and Lawton27. 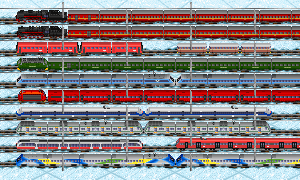 A collection of common and generic trains from all over mainland Europe in 2 company colours. Can be used to represent different real-life railway companies. 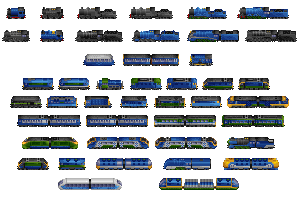 It contains many real locomotives, especially those used in more than one country, and some generic vehicles. This file is incomplete, there is an alpha availabe for download. A set of light vans, trucks and buses, plus cars(taxi and eyecandy), for temperate climate. Still very incomplete - now at r6. 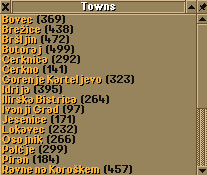 A set of 255 town names from Slovenia. Uses a number of special glyphs which need to be supplied by another grf such as unifont or OpenGFX, otherwise some names will not be displayed properly. A set of 372 real South Korean town names, excluding major cities. Change the base costs of TTD configurable over parameters. Usage: parameter pairs which the first value is the ID of the cost, the second the factor (default: 8). Chemicals vector, includes new cargos "refined products", "potash", "sulphur", "petrol" definitions, new industries "chemicals plant", "potash mine", modifies default oil rig, oil wells, oi refinary industries. Chemicals vector, includes new cargoes "refined products", "petrol" definitions, new industries "chemicals plant", modifies default oil rig, oil wells, oil refinery industries. Machinery vector for trocpic, includes new cargo "plastic" definitions, new industries "plastic factory", "electronics plant", modifies default rubber plantation, copper ore mine industries. 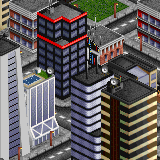 Town vector, includes new cargo "tourists" definitions and "tourists' centre" industries. 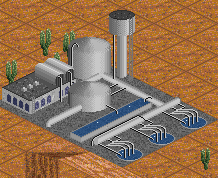 Basic vector for tropic, includes new cargos "sand" and "glass" definitions, new industries "sand pit", "glass works", modifies default water supply, water tower, diamonds mine and bank industries. Basic vector for arctic, includes new cargos "sand" and "glass" definitions, new industries "sand pit", "glass works", modifies default coal mine, power plant, gold mine and bank industries. Long vehicles v2. Long buses. New Temperate, Arctic and Tropical vehicles. New cargos is a set that realises new possibility of the TTDpatch - the new cargos. 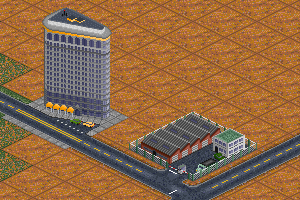 It introduces two new cargos (toursits and petrol) and a set of building and industries that accept and produce cargos. They are hopels, statues, petrol stations and others. 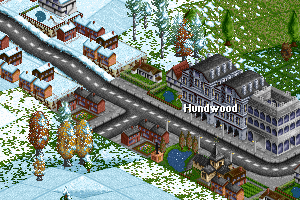 Houses and town buildings set with support of floating snow level. 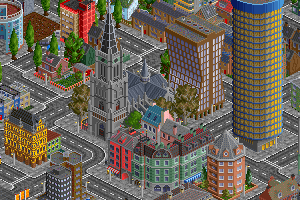 Includes hotels, statues, car shops, petrol stations, churches, banks, water towers and other city objects. 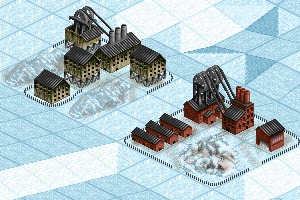 Houses and town buildings set with support of floating snow level. 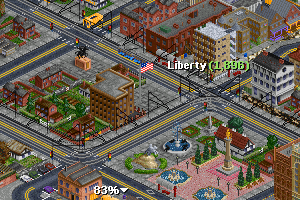 Includes town building, hotels, shops, statues, petrol stations and other city objects. Adds the EMU 680 to temperate Climate. This Grf Replaces the Plastic Truck (115) with the Bm73. This Grf will hopefully be included in the Norwegian Train Set. Adds the Glass Station as a constructable Station. Simple GRF to display standard non-semaphore rail signals using newsignals. The Suburban Renewal Set is a house set for the temperate climate. It is made using (heavily) modified original graphics. 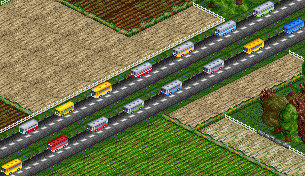 * Road-sensitive buildings that will face the nearest road. * Minimum building lifespans which prevent towns from replacing buildings that are less than a certain age. * Population-based construction limits on parks, statues, stadiums, churches etc. I consider this set a work-in-progress, as I would like to add more buildings and expand the concept to the other climates. However, it's perfectly playable in its current state. Town house set for OTTD. 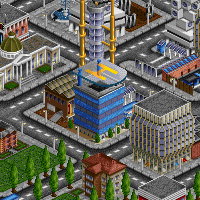 Features UK-style buildings, uses some elements of the original graphics. 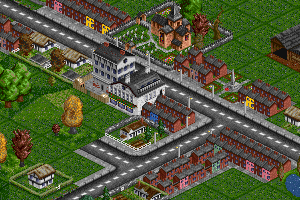 Has population/town growth restrictions for more interesting gameplay. This grf is changing introduce year, speed and capacities of all original road vehicles except toyland landscape, so the RVs are not useless with DB Set XL, mainly goods trucks. See the Discussion for more details. This grf is changing RVs parameters in Temperate Climate where can run DB Set XL, but also in Arctic and Tropic Climate where can not run DB Set XL. So activate this grf only when you want to play Temperate Climate with DB Set XL. This grf is changing introduce year and speed of all original road vehicles except toyland landscape. It renames vehicles of the same speed to TTOriginal-equivalents, others (from TTD) are renamed to more suitable names. Names of towns and cities in the Czech republic. This grf requires Unifont to function properly. A trainset that includes many Dutch engines and wagons. 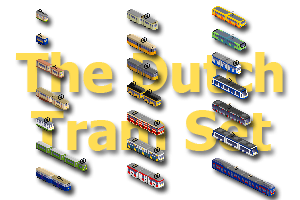 This set is available for TTDPatch and OpenTTD. Please read the manual, it's included for a reason ;). 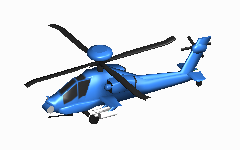 Smaller aircraft for use with av8 in OpenTTD nightlies. Currently contains a biplane and a small 4-place aircraft - will eventually contain aircraft up to Beech 1900 size. The North American Renewal Set v2. A complete company-coloured train set from 1850 to 2050, with running sounds, animated steam locos, regearable diesels and much more. New Zealand Railways Department Class DE. 1950s Diesel shunter. Designed to be used in conjunction with the UK Renewal Set or DBSetXL. Futuristic urban suspended monorails (to replace tramways). 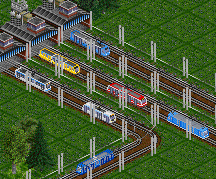 Includes full graphical replacement of tramways with monorail track and 4 articulated vehicles to use them. 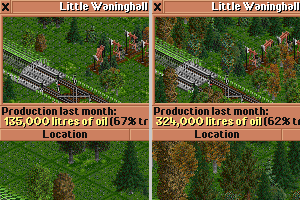 Station and depot graphics adapted from the openGFX project by FooBar and athanasios respectively. All coding and other graphics by me (Zephyris). The GRF version of the Sears Tower wich is releasd as an .EXE years ago. Now its compatible with OTTD too. This is the great Burj al Arab, a building based on the real 7 star hotel in Dubai. It replaces the HQ stage 5. This grf provides a single, futuristic high-speed bus available from 2030 on. The bus is based on Zephyris' eGrvts set, and fits to it graphically. 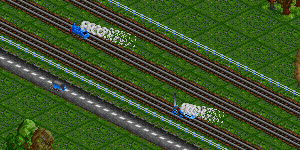 This grf needs an OpenTTD version of at least r14869, or it will not go at high speeds. The grf should generally work with TTDPatch, but it is not tested by me. #openttdcoop uses a certain set of additional GRFs. You will both need them to play on the Public Server as well on the Member Zone. To ease things up, we packed the GRFs needed into one single file. 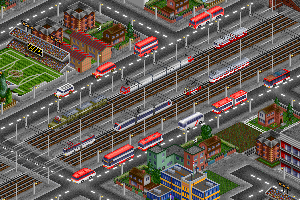 Simply download it, extract them into your ./data subfolder of your OpenTTD-directory. The GRFs will be automatically loaded if you access our servers. 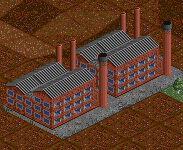 This grf names a station with the name of nearby industry, where "nearby" means within 3 tiles. this grf is not intended to be used with another industries' grf - only use it with default industries. can be used on every climate. This grf modifies the base costs of building infrastructure. The idea is to make the game more challenging, and to encourage players to build in the landscape, rather than just flattening, bridging and tunneling the landscape into insignficance. 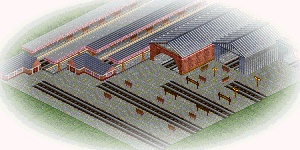 A larger train depot, original graphics by Snorbuckle, Coded by Jacob Deuchar with help from all at the forums. This set compromises 20 wall to wall buildings painted by hand. The Lumber Mill from Tropic also available at temperate and arctic. A set that aims to include all kinds of transport vehicles from Lithuania. If you look for eastern block goodies then look no further! This makes the 1. Bridge availabe from year 0. Various engines and passenger cars from Czechoslovakia and Czech republic, from 1921 until today. warning: If used together with MB's cargoset, then CSDset must have higher priority, or you will miss passenger and mail wagons. CS railroad tracks replaces default rails, caternary and tunnel portals. A must have for everybody who does not want his Pendolino to look out of place on default rails. Thirsty for Czechoslovak experience? Use CS Roads v2.0! Now with new texture, stops and much more. Make in the arctic and temperate climate a smooth transition from grass to snow instead of three steps. 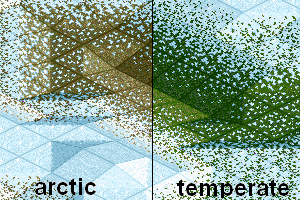 The grf load in the arctic climate a transition with arctic and in the temperate a transition with temperate grass. If you use a grf, which insert temperate grass in the arctic climate, you must set the parameter 0 for temperate grass there! This locomotive is missing in TTD, so here's a grf file to add it. Early vehicles, designed for OTTD, but works on TTDP too. Complete replacement for all rail vehicles from 19th century to future in temperate, arctic and tropic climate. Contains standard gauge and narrow gauge set. You can also download Serbian scenarios on same location. Requires minimum Patch 2.6.0 r1210. Set is compatible with Extended cargo scheme, Pikka's basic industries (including Brick chain addon) and Tourist set (including graphics for all new cargos). Set is OTTD compatible for playing with human players only. 6 cars for 1920 to 2050, replacing the default buses (IDs 00 to 05), in dual company colours. The extended generic Road Vehicle and Tram Set, or eGRVTS, provides an extended set of 218 generic road vehicles and trams, for all climates, in dual company colours. Includes vehicles for 1800 to 2075 with standard, express, double-decker, articulated, horse-drawn and steam vehicles. Includes generic support for newGRF cargoes. "Tired of looking for a grf on the grf status window for hours? Do you want to make your life easier? Then the grf category system is for you!" A Company Colour train set encompassing both US and Canadian prototype rolling stock. Using parameters you can select which rolling stock will appear in which climate. A Set of two Tourist Industries. Designed for use with the UK Renewal Industries and the Total Town Replacement Set. Graphics by Oz, Zimmlock and WhiteHand. -It detects MB`s newships, and modifies default ships too, if newships.grf is not loaded. -After v4, you need to put the multiplers as modulos, so more shooth alterations are possible! -uses value 500%, when this parameter is not set. -uses the value of the first parameter, when this parameter is not set. -you need to start a new game to have effect on these costs. And the maximum multiplication is 6400%, any parameters bigger than 6400% will be recuded to 6400%. Industrial stations with facilities to cover all cargos in the game. 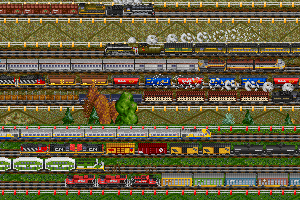 Features gradual loading cargo showing in platforms, animated sprites and non-track tiles. A slowly growing collection of Swedish trains, with no guarantee of becoming a complete 'set'. The generic Road Vehicle and Tram Set, or GRVTS, provides generic road vehicles and trams for all climates, in dual company colours. Includes vehicles for 1950 to 2050 with standard, express and articulated vehicles. Includes generic support for newGRF cargoes. With this .grf the Oil Wells in Temperate (green) terrain no more only decrease, increases are now also possible according to the standard economy formulas (default/smooth (OTTD)). It's made non-intrusive and shuts itself off in other terrains. The 2cc Set includes trains from all around the world, drawn in dual company colors. The Metro Tracks replaces monorail and are required for The 2cc Set. Foundation replacement meant to imitate tin roof-style metal plates used as retainer walls in some building sites. Stations for Sub-tropical climate (but It can be used in other climates). There is only two platform types but It will be more. Thanks to AndersI, Michael Blunck and other people for their help. 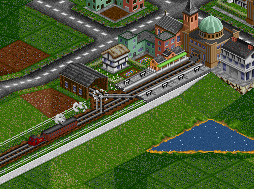 This is enhanced Serbian tram set, bringing new features, such as animated and articulated trams, trailers, etc. Compatible with Long Vehicles V4. Set is not recommendable for use with TTD Patch (Patch users could use Serbian road vehicles - trams). Special thanx to Michael Blunck. Set of trams used in Serbia (contains 12 trams), from 1892 to future. Compatible with Long Vehicles V4. Minimum required Patch is Nightly 2.6.0 r1210. Enhanced version of Serbian tram set, including new features: articulated and animated trams, attaching/deattaching trailers or coupling/decoupling trams, etc. Not TTD Patch compatible (TTD Patch users could use Tram taster). A ton of new bridges, with some updated originals. The set doesn't have compatibility with any roadset, or railset, that will come in future editions. A simple grf which adds refitting information to the default TTD wagons. Set contains 17 passenger trams and 2 cargo trams. For correct appereance of names, use file russianw.grf (you can download it on same location). This complete industry set contains industries for Temperate, Arctic and Tropic climates, and features stockpiling for all secondary industries, requirements for industry placement, and new graphics. It expands Pikka's Basic Industries with four additional industries in temperate; quarry, clay pit, brickworks and engineer's yard. These four industries were in the original UKRSI, but were removed from PBI. Trains of Japan, from the early steam engines to the modern "bullet train" Shinkansen. Adapts the HQ's to to the US Roadset. Generic tram set including 5 passenger, 3 mail and 3 goods trams. 5 of the later vehicles are articulated. 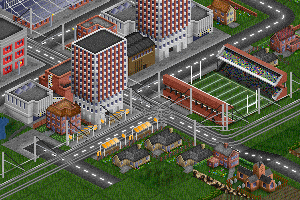 Included for download with OpenTTD 0.6.0. 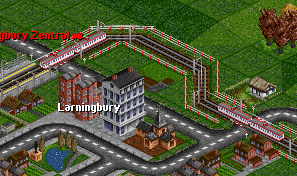 Compatible with OpenTTD 0.6.X and the latest OpenTTD nightlys. 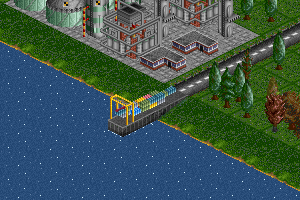 NOT compatible with OpenTTD version 0.5X. 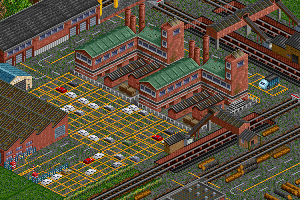 Station set with loading platforms, warehouses, truck lanes and parking [only visual effect], and harbor cranes. 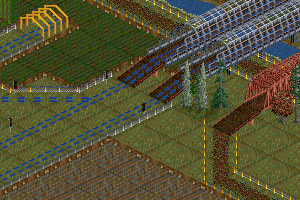 Some time ago I drew a new railroad fence. Szappy has coded it (Thanks!!!). You'll need to put fence[w].grf below elrails[w].grf in newgrf[w].cfg, or else you will miss a fence in / view. This GRF adds Dutch Catenary to Electrified Railways. Adding Dutch signals to TTD. 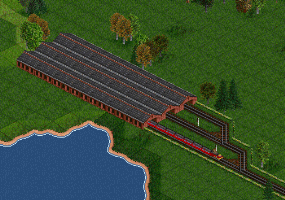 Supports PBS and pre-signals, works with both TTDPatch and OpenTTD. Both semaphores and light signals. Available at the Dutch Trainset's website. Set with multiple japanese stations features, including different facilities through time, and shinkansen stations. 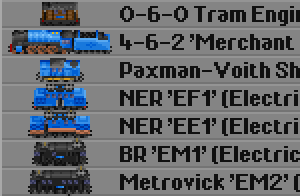 Set of spanish trains for passengers and freight. Currently under developement, new versions updated when available. Taster version still lacks accurate technical data (prices, HP, etc.) and most of the freight cars. 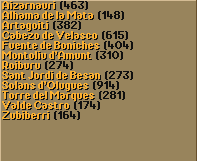 Spanish styled town names for the randomly generated new maps. There are 3 styles included: Basque, Catalan, and Castillian names. 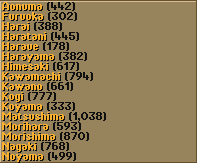 Japanese style town names for the random generated new maps. Add-on to the NSB/Norweegian trainset. High capacity slow moveing Metro-train. This is a train set based on Canadian trains from 1920 to present. Eventually, the set will include both narrow and standard gauge equipment from major Canadian railways such as CNR and CPR as well as regional lines from around the country. OTTD users and TTDPatch 2.5 and under will still need to use the 2.0j version. 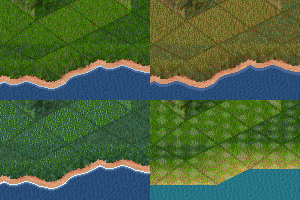 New terrain graphics for all four climates. 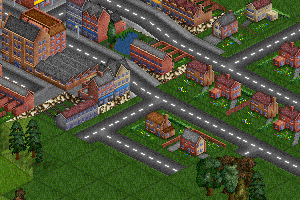 Part of the 8bpp graphics replacement project for OpenTTD. Includes all ground tiles, farmland and water. Features are complete shoreline, smooth snow transition, water at map edges and snow for temperate. This replaces the default green oneway arrows with white arrows, drawn to match the UK Roadset. Increases the usefulness of the 'Purchase Land' button, by enabling it to function as a landscaping tool (see thread for tips). 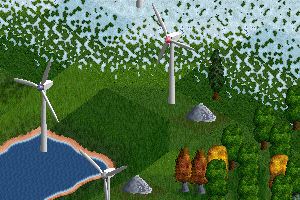 Eyecandy is also enhanced by removing brown tiles from the game. The 'Purchase Land' sign can be displayed (as on the left), or switched off. If the sign is retained, it will be displayed on a more attractive green tile. But whether the sign is switched on or off, any tile that you apply this button to will still become 'owned' by the player, so protecting your landscaping efforts from demolition! Load this grf BEFORE any other grfs! A set of real Welsh-language town names. 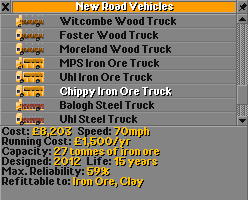 Allows the default road vehicles to be refit for new cargo types. Specifically designed for use with PBI, but should work with other industry sets, including NewCargo. Also compatible with HOVS UK Bus Set (should be loaded before this grf). A set of real South African town names. 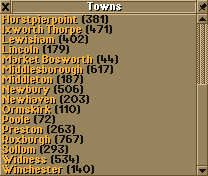 Over 700 real British town names. 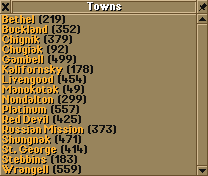 A set of real town names from Alaska. Replaces the statue of company owner. A variant with flashing lights can be selected via a parameter. New 2x2 building available in all climates. 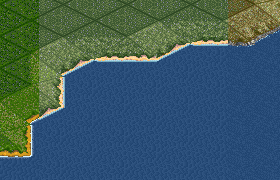 A simple GRF which causes the water graphics (not black) to be drawn at the edge of the map. Will not work with custom water graphics. Junkers Ju 52. Replaces the Lockheed Tristar when used with the Planeset. Includes variable ID. 5 Liveries available through refit in Hangar. A Tram set representing trams for the major tram systems of the UK from 1923 to 1996. Please check homepage for a list of known bugs in this release. Replaces the second cantilever bridge. 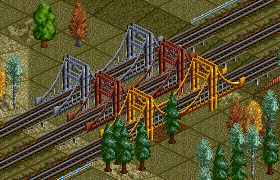 It should be used for make long, high cantilever bridges. This grf can be used with my cantilever bridge renewal, but this grf doesnt contain any support for narrow gauge rails. It replaces the ugly original cantilever briges. 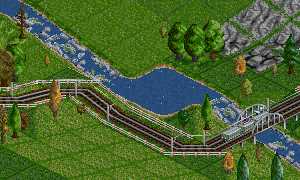 Replaces bridges for railroads, roads, monorail, and maglev too properly. Also this grf has got support for narrow gauge rails. Randomly generated Russian town names, in the Cyrillic alphabet. 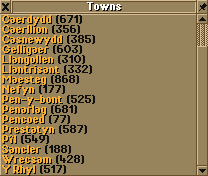 Randomly generated Welsh town names. 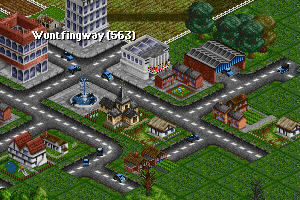 Also includes one static town name (I think you can guess which one). When loaded in TTDP, will ensure that Sub-Tropical fields come back when bulldozed, just like Temperate and Sub-Arctic ones. Modified parameters of the ships - they are much larger and appropriately more expensive. A set that replaces all locomotives, inspired by real and imagined locomotives from tropical regions. New tunnel GRF that works with OTTD and TTDP. It also supports Enhanced_Tunnels if that functionality is available. A set based in the UK containing 6 waypoints. These are based on real signalboxes you can find at Signalbox.org. 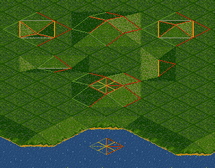 These were coded by OpenTTD developer peter1138. Most of the credit to him! Semaphore, Searchlight, Colour light and Position Light signals, for all three climates. Pre and PBS functionality. Set will eventually have Danish trains, trams, ships , road vehicles and stations. We are currently working on trains. Renames "goods" as "stuff". A joke grf for Dave Worley. The Fortress/Tower replaces the Lighthouse in TTD. An industry set for the temperate climate. 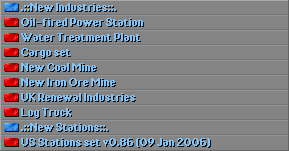 Adds new functionality (stockpiling, limited production) to the default secondary industries, and adds a few new industries and cargoes. 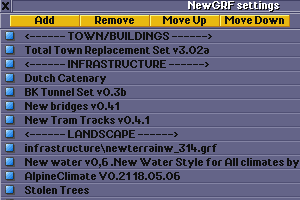 Placed after the last bridge(set) in the newgrf list this grf will modify the base price and top speed for all bridges. I choose to modify the top speed to get a better spread and then let the price be directly related to the top speed. 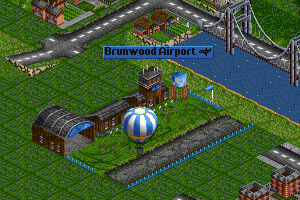 Replacement for the airport graphics. At first I only want to do a simple graphics replacement, but now it is more. It is a custom grf. The desired look can be arranged by the 6 parameters. 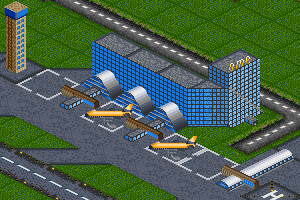 The grf consist of airport replacements by various artists of the forum. Complete aircraft replacement for TTDPatch. Features 41 different airplanes (airships, propeller planes, jets, helicopters), many in real-world liveries, and balanced operational parameters. 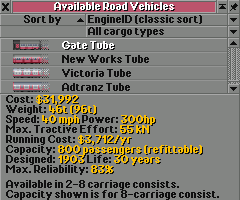 This version is compatible with OpenTTD (0.5.0 RC 1 and later), except that the capacities and liveries are not correct for coal or rubber. 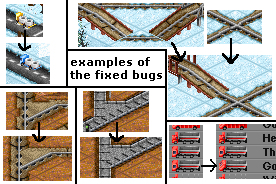 This issue will be resolved when OpenTTD supports new cargos. 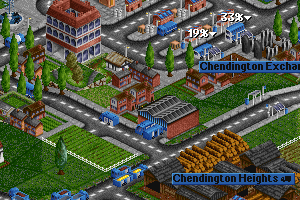 The UK Roadset is a left - and now right hand side roadset for Transport Tycoon Deluxe. osignalsw.grf: to be used in conjunction with signalsw.grf or nsignalsw.grf. replaces the original TTD signal graphics with Michael Blunck's pre-signal and PBS style signal graphics. Supplement, a completion for those two roadsets. Contains Zimmlocks graphics of the Road Depot and both types of Road Stations, all mixed with US and UK Roads. Tram Tracks the same width as the normal railways. This grf adds 7 new locomotives to the UKRS. Requires UKRS v3. An 80mph brick viaduct which replaces the wooden bridge. British buses from 1920-2000, including double deckers. A set comprising historic and futuristic British locomotives, multiple units and rolling stock, from 1920 to 2050. Graphics are in company colours. A set of buffer stops that match all climates ever yet concieved, apart from Toyland. 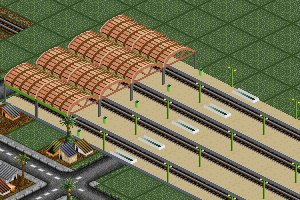 They are non track tiles and are designed to be built at the end of stations which have no matching buffers. Total Town Replacement Set v3 (TTRSv3 for short) is a building set for TTDPatch, for the temperate climate. 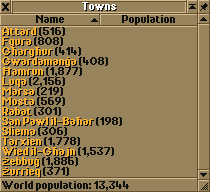 It contains over 100 town buildings to break the monotony you get with default TTD town buildings. The buildings are separated into four "eras", 1920-1950, 1950-1980, 1980-2010 and 2010-forever. 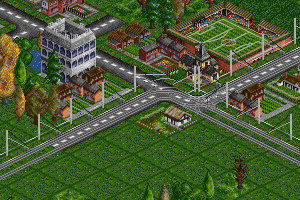 This means your towns will nicely evolve from old-style buildings towards modern buildings as time passes in the game. The set comes with some extras as well. 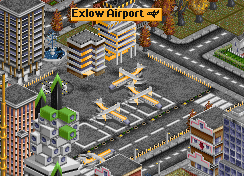 The small and big airport graphics are replaced to make them fit to the buildings. There are two bank versions that replace the original bank and have different looks in the different eras. 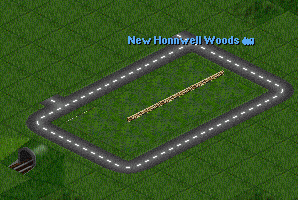 You also get two new road graphics, one used before 1970, and one used after that year. 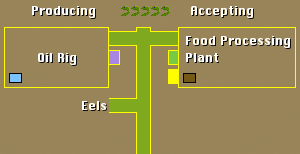 Everything except the bank can be turned off in case you want to use different graphics for these things, or simply prefer the original TTD ones. This same set of buildings which names are translated to Polish. 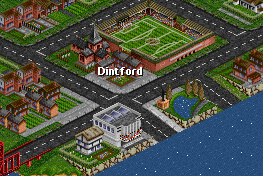 This set of town buildings containts: "Food shop/bar"; "Houses" (two types); Brick "Shops and offices" and "Modern, digital office building". A set which aims to include a variety of Australian locos from the standard guage. 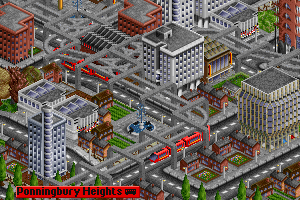 City stations for TTDPatch/OpenTTD (Nightlies). 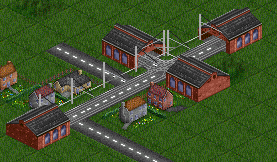 Rural stations for TTDPatch/OpenTTD (nightlies). Part of the former Project Generic Stations. 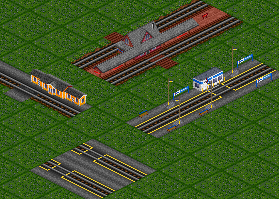 Suburban stations for TTDPatch/OpenTTD (Nightlies). Coal mine graphics replacement to old TTDX mine and does not do anything else. It is based on Czech mines "Mayrau" by Kladno and "Julius V" by Komorany (19th and 1st half of 20th century). A new iron ore mine graphics based on Czech iron ore mines from 19th/1st half of 20th century. 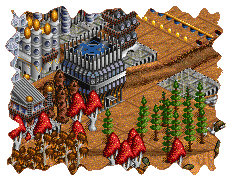 Replaces old iron ore mine graphic for temperate. Various station sets, formerly known as the Project Generic Stations set. This is a temporary entry, it is not for one specific .grf, new entries will be created at a later date. A set that aims to include all the stock from the Island of Sodor. We also aim to include the rvs planes and any ships. 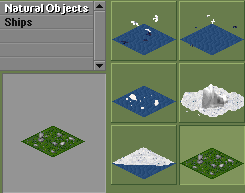 New water tiles and coastal for all climates. A set of UK style signalboxes in the style of Waypoints. Works in TTDPatch and OTTD. Adds three new station classes with various new stations to the game. This set changes the livery of the Passenger, Mail, Valuables, and Goods wagons for the Chimaera Maglev Locomotive. 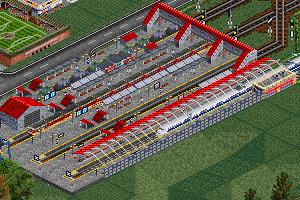 Airport tiles as non track tiles. For whose, who can have problems with pictures on buses, which could be recognized as naked women, a special cut version, that removes these pictures, is available for Long vehicles v4. Basic vector, includes new cargos "sand" and "glass" definitions, new industries "sand pit", "glass works", modifies default coal mine, power plant and bank industries. Agricultural vector, includes new cargos "fertiliser", "fibre crops", "fish", "cereals", "oil seeds","wool" definitions, new industries "fishing grounds", "animal farm", "tinning factory", "Brewery", "textile mill", modifies default farm, fruit plantation, food plant industries. Machinery vector, includes new cargo "vehicles" definitions, new industries "vehicles industry", "ship yard", modifies default steel mill, iron ore mine industries. Construction vector, includes new cargos "bricks", "cement", "limestone" definitions, new industries "lime quarry", "cement works", "brick works", "constriction industry", "large constriction industry". Wood vector, includes new cargo "wood products" definitions, new industries "Furniture fabric", modifies default forest, sawmill, papermill, printing works industries. European roads for ALL climates. It also supports PikkaBird's stone bridge. 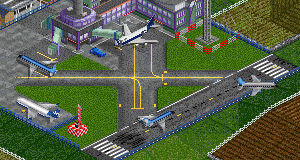 The 459 Remix was initially an old beta build of Planeset which had several planes added to then-unused slots. 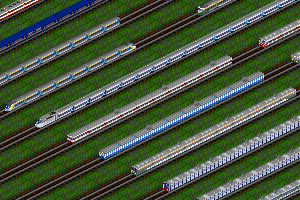 Unlike the official Planeset 1.0 this version doesn't have any OpenTTD-unfriendly code. 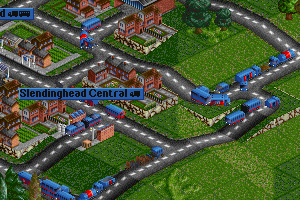 Expect renamed and tweaked version called "Planeset - OpenTTD edition" in future to replace this version. 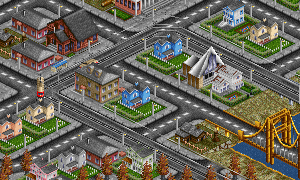 This version is recommended for OpenTTD. It's known to work fine in single player and LAN. A completely new set of trains for TTD from all across the United States of America. This set works in Temperate, Arctic and Sub-Tropical climates to provide trains from the age of steam into the future. Gets parameter 0-new, 1-old graphics. Some small alignment problems. An alpha release. Level crossing gates, steam-era UK style! Regauged normal TTD rails, can replace any track type to support narrow gauge train sets. 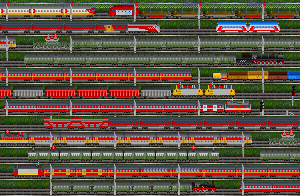 Includes lots of new bridge graphics for road and rail. 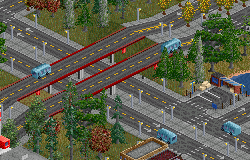 Replaces most of the standard bridges. Colours all the brown railways to a gray, concrete like, colour. Most things included, tunnels, road crossing, and all original bridges execpt the wooden bridge. PS. You will be downloading this from an Australian Server. 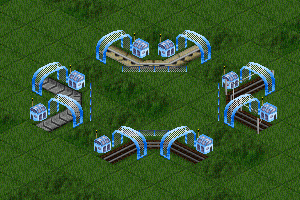 A new set of passenger stations for TTD, with a range of styles, sizes and layouts possible over time. Replaces the SH'125' with the IC125. This has a livery refit of 5 liveries! More information and known bugs on the download page. Works alongside Water Supply in Tropical. There are 337 grfs in the database.